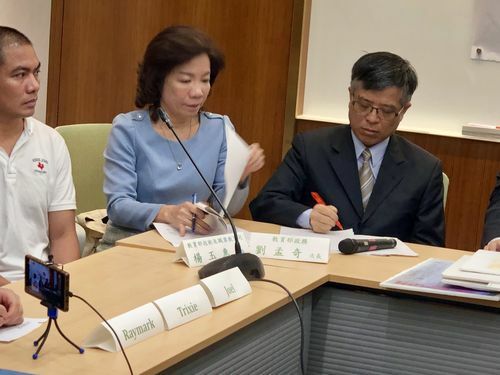 Taipei, March 4 (CNA) Three Philippines students on Monday accused a manpower broker and a Taiwanese university of subjecting them to abusive conditions during their work/study program in Taiwan, echoing similar charges leveled by Indonesian students in January. The students, identified only as Raymark, Trixie and Joel, said they were among 52 students enrolled in a work/study program at Yu Da University of Science and Technology (YDUST) in Miaoli who had to work 40 hours per week at a tile manufacturing facility, double the maximum 20 hours a week legally allowed for such a program. 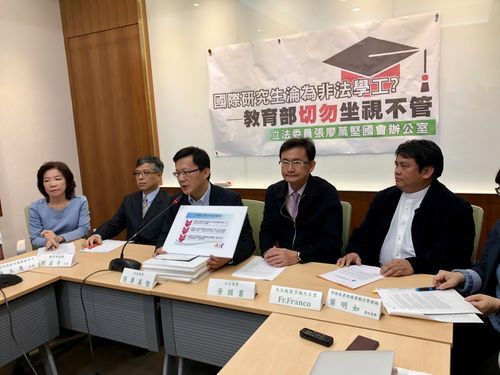 Some of the students were also on the receiving end of verbal abuse, including Taiwanese swear words, from factory foremen, while they were working, the students said at a press conference organized by DPP Legislator Chang Liao Wan-chien (張廖萬堅). 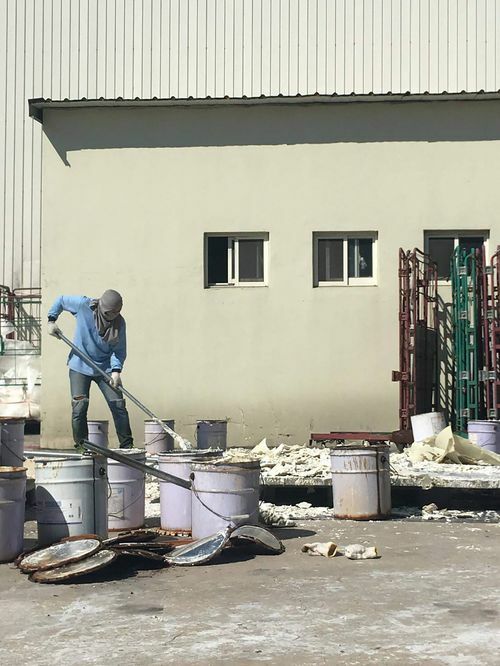 The case was similar to previous charges in November 2018 of Sri Lankan students forced to work in a Taiwanese slaughterhouse and in January 2019 of Indonesian students being farmed out to factories as cheap labor by six universities, which then took a fee for each student. The Ministry of Education, which was seen as offering a lackluster response to the accusations by the Indonesian students two months ago, was more forceful this time. Speaking at the press conference with the students, Deputy Education Minister Liu Meng-chi (劉孟奇) described the incident as "completely intolerable" and said the MOE will hold YDUST accountable for its actions and warned the school not to "challenge the MOE." Liu pledged that the ministry will help the students involved find suitable schools to transfer to if they want to stay in Taiwan. Yang Yu-hui (楊玉惠), director of the MOE's Technological and Vocational Education Department, said the MOE will also forbid the university from accepting new foreign students starting this semester. The three students who spoke Monday detailed their ordeals. Joel said the broker forced the students to work illegal hours by switching the contract on them. 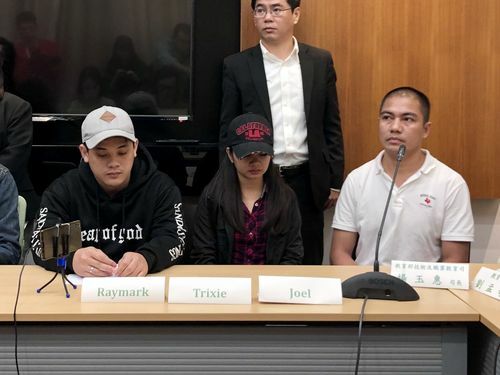 When he signed a contract in the Philippines with a broker named "Faith Association" to work while studying for a master's degree at YDUST, he was told he would only get a copy of it once he was in Taiwan. But the contract he was given after arriving here in September 2018, included two extra penalties that were not in the original contract, Joel said. First, if he did not accept the work he was assigned to or wanted to quit, his contract with "Faith Association" would be terminated, and he would have to pay the broker a penalty of US$1,000 (NT$30,825), Joel said. Second, he was obliged to keep confidential information on employment conditions, including how long he was working. If he breached the provision, he would have to pay a penalty of NT$500,000, Joel said. When he questioned the new terms, the only answer he was given was "please respect the contract," the student said. Trixie said she was put to work sorting thousands of tiles on shifts lasting from 4 p.m. to midnight a minimum of five days a week during the period of her study, making it hard for her to get to classes starting at 9:10 a.m. the following morning. "I couldn't control my tears every morning when I couldn't even move my fingers out of pain, and the pain would only be relieved after pouring hot water from the shower for a few minutes," Trixie said. She said she came to Taiwan to get a master's degree at YDUST to try to find a higher paying job in the Philippines to support her diabetic father. Explaining why she decided to bring attention to the situation, she said: "I would rather be forever poor than lie." "I am grateful to my family who raised me and the values I learned from them is what is making me strong and is giving me courage to stand and tell the truth." Raymark, who came to Taiwan in April 2018 with a prior batch of students under the same program, said he was not well-informed on the work part of the program before arriving. 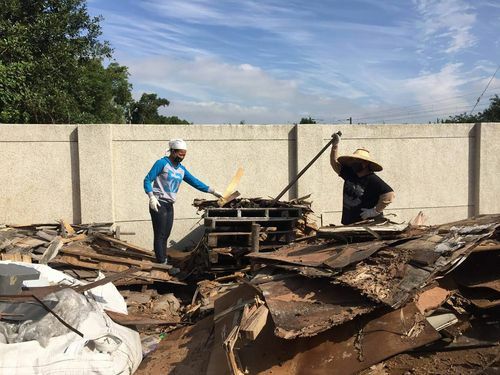 "I was surprised to know that it was hazardous and hard labor not related to our course," said Raymark, who was studying information management in Taiwan, as was Trixie. Joel was studying leisure management. "I gave my best to my work but my body is neither a log nor a robot [that does not] feel the pain from tiredness at work and dealing with people around me," Raymark said. 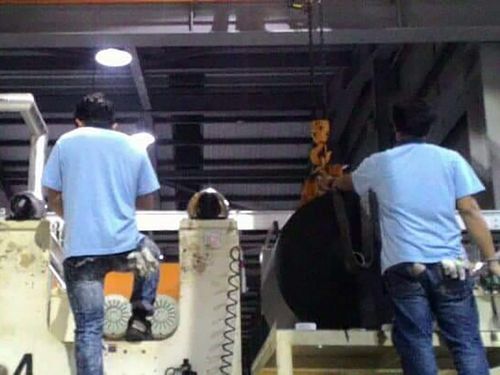 Dealing with the abuses, such as being yelled at and cursed in Chinese by a foreman whenever they made a mistake, was "harder than the work we are doing," according to Raymark. He said he was bringing attention to the issue "because I decided to stand to my principles, and the truth will set me free." The MOE's Yang pledged at the press conference that the MOE will place more emphasis on foreign students' rights in the future and will not allow schools to force or intimidate students into acting against their will. 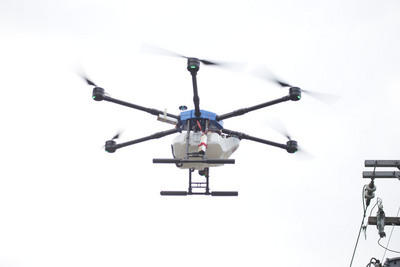 This case, she said, has been handed over to prosecutors to determine if the broker or the university violated any articles of the Criminal Code. Following Monday's press conference, the school acknowledged in a statement that some students may have worked more hours than legally allowed. It said it would offer counseling to the students involved to minimize the impact of their ordeal and help them transfer to other places of employment if they so wished.